Make a short video on innovations in the South Baltic region and win valuable prizes. 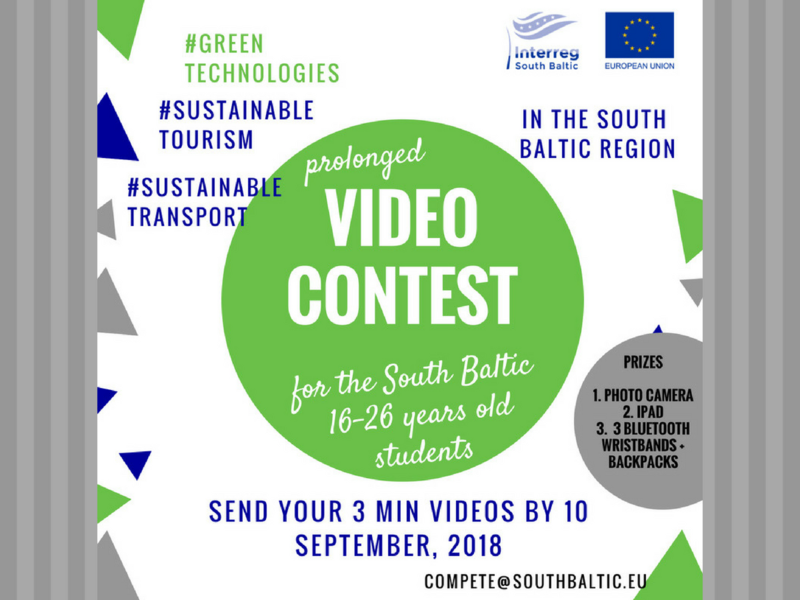 The Interreg South Baltic Programme launched a video contest on innovations in the South Baltic region inviting 16 -26 year old students and youth to produce a short film (up to 3 minutes) on these topics: sustainable tourism, green technologies, sustainable transport in the South Baltic region and win valuable prizes. Videos (links of videos) should be send to: compete@southbaltic.eu the 10th of September, 2018 (23:59). More information about the contest you will find on Programme’s website.